The completion of all ongoing projects by the Amosun led administration in Ogun State remained sacrosanct while more developmental projects would be undertaken in the 2016 fiscal year. The State Governor, Senator Ibikunle Amosun gave this assurance at the Town Hall Meeting on the 2016 budget held at the Cultural Centre, Kuto, Abeokuta. The Governor who noted that the rural areas would not be left out in the rebuilding process, enjoined the people to be patient with the Government, calling on the people to fulfil all their obligations in the payment of taxes and levies to accelerate Government plans and policies. According to the Governor, the light rail project among others is still in the pipeline but for dwindling resources of the State, urging the people to support the Government in the implementation of its developmental programmes. He said more focus would be on rural roads under the supervision of the Deputy Governor, pointing out that, asphalting of second layer on new roads would commence in earnest. ‘’This would be the first budget in our second term in office. 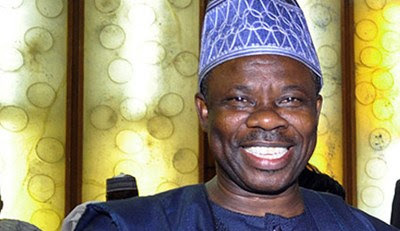 This budget would be on how to be prudent, minimise cost and maximise opportunities on our IGR without bringing any inconvenience on our people’’, Amosun said. The State helmsman, who commended residents for complying with Government displeasure on indiscriminate dumping of refuse on roads median, revealed that clean environment remained a top priority of his government. Governor Amosun reminded the Caretaker Committee Chairmen of Local Councils in the State to ensure judicious use of the meagre resources available to them to implement people oriented programmes and strive among other things to ensure clean environment and boost their IGR. The President National Association of Ogun State Students, Abdul Gafar Olalekan who commended the increment in bursary for indigenes of the State from N1,500 at inception to N10,000 and from N50,000 to N100,000 for law students urged Government to create a board for bursary and scholarship to ensure effective and efficient distribution. A representative of the Farmers Association of Nigeria (FAN) solicited for more commitment to the course of farmers by local councils, assuring that a lot of revenue could be tapped from agriculture. Other stakeholders spoke on roads, social amenities and improved funding of both the primary, secondary tertiary and health institutions, of which the Governor assured are already outlined, saying that they would by attended to as fund accrued to the State improves.